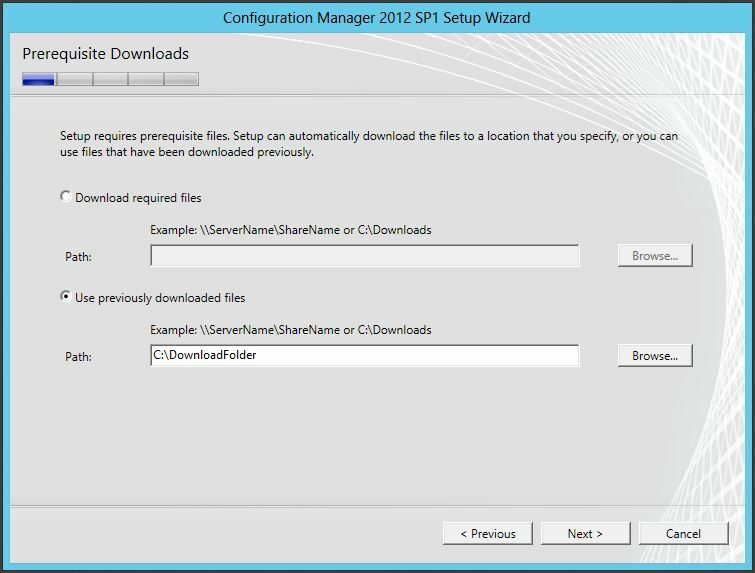 As part of the Configuration Manager 2012 installation you need to download the latest Configuration Manager update files as a pre-requisite to the installation. If you don’t have internet access on your server this can be a problem. Luckily you can pre-download the files using a utility file found in the installation media. Use the command below to download them separately then you can simply reference them during your Configuration Manager 2012 installation.